"The Brompton is a bike which rides superbly, is safe, agile and fast, yet folds easily and quickly into a highly-compact and portable package. The result is a vehicle that increases your sense of freedom and independence." At Cyclecare we have been a Brompton dealer since 1988. 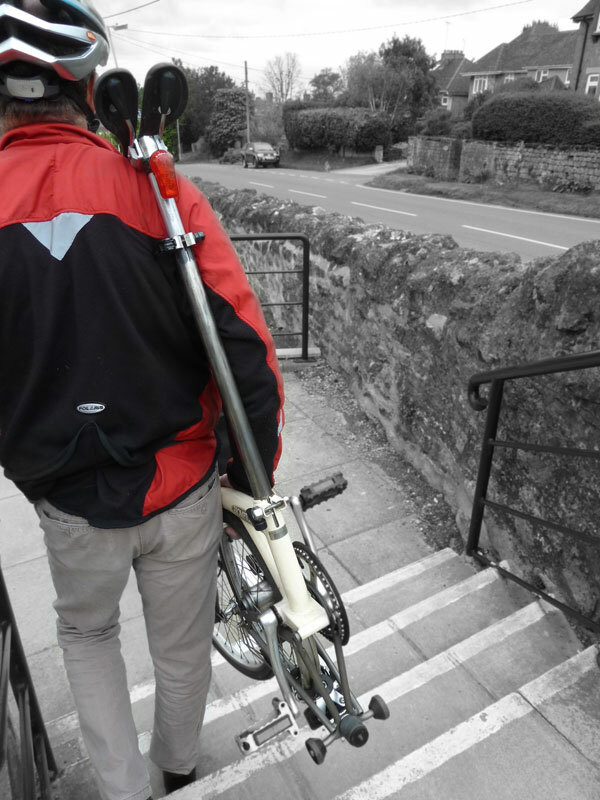 We can demonstrate the Brompton and give you advice on the best cycle for your needs. 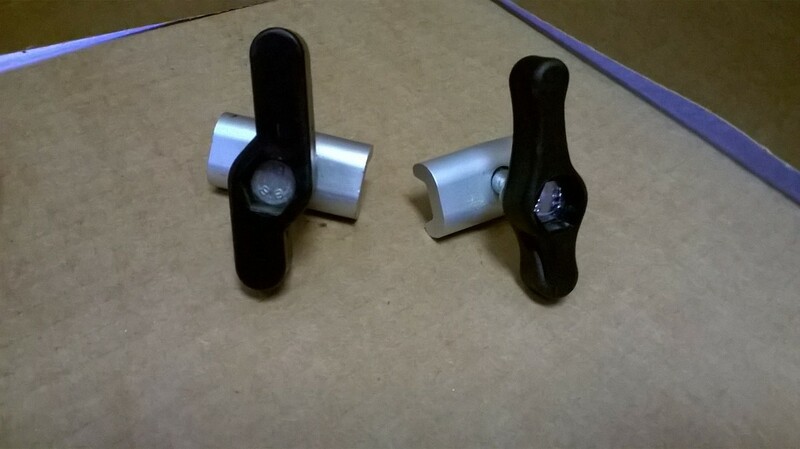 Two demonstrator models always available. 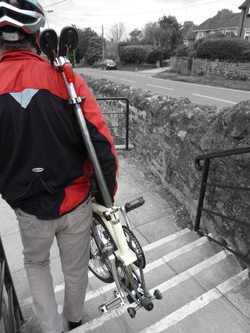 The Brompton rides well, is safe and defines the word portable. Personal use with trains,planes and ferries allows us at Cyclecare to provide user insights. Other folding bikes have their own individual character and purpose but none we feel matches the Brompton's convenience. "The brainchild of engineer Andrew Ritchie... every part of this most compactly folding bicycle is designed and put together with meticulous attention to detail" says Cycle Touring & Campaigning. The Brompton is also extremely manageable. Special Colours: You can choose from 13 colours for the main frame and extremities, which allows for some striking combinations. Flew to Italy with BROMPTON. Brittish Airways did a great job of looking after the bike, charges where a bit steep. Road around Umbria, Lots of up and down, Little traffic, Roads rough due to earthquakes. "When carrying your BROMPTON, use your shoulder to allow your body to take the weight." If you are brave enough to fly without sealing your bike in a bag, then remove the clamps. Arrive to find missing clamps would be a problem. Wipe Down the seat post after rain. Never lubricate the seat post. By keeping the seat post clean and smooth it will slide more easily.